Want to make the most of summer by soaking up the sun outdoors and making memories with you and yours, then hurry up and jump in feet first to our line-up of open-air parties; intimate home-grown festivals, not too far from home, that are just as much a celebration of food as they are music. Join us to celebrate the season …no wellies needed! 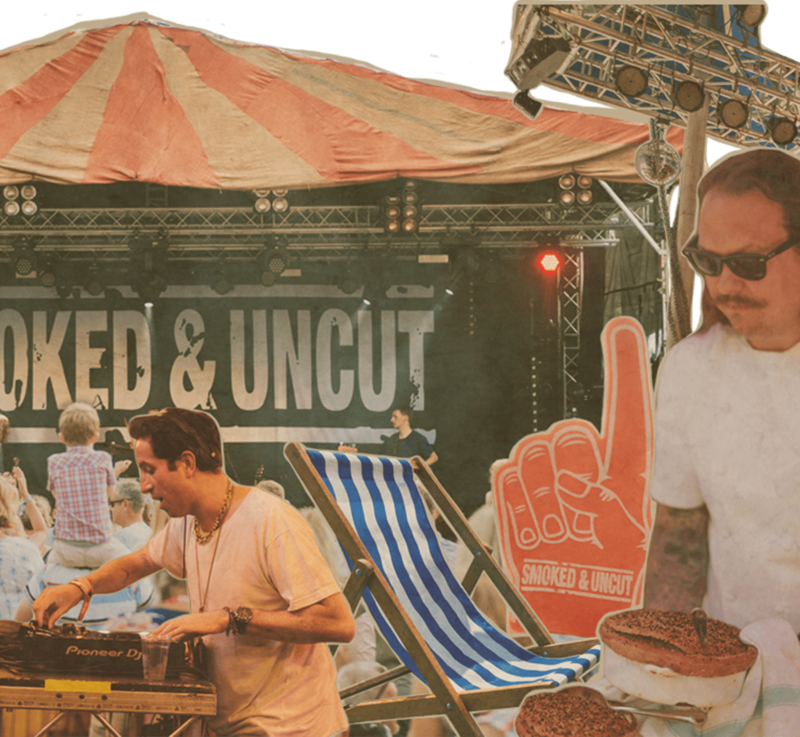 Smoked & Uncut 2019 will see 3 festival dates held over June and July, across THE PIG and Lime Wood hotels and set to an eclectic soundtrack, from folk to funk and rock’n’roll to reggae. 2018’s festivals played host to a summer line up including Razorlight, The Wailers, John Illsley of Dire Straits and his band, Paul Carrack, Danny Goffey, Rae Morris, Noisettes, Stevie Appleton and many more. Though it’s more traditional to stick a few tents in a muddy field, we are anything but conventional, so whether you are looking for laid-back summer vibes, a great get-a-away with friends or an unforgettable date for two, then sink your teeth into the Smoked & Uncut festivals; easy to get to but hard to leave! Break out your summer, get your sunglasses and dancing shoes at the ready, and book ahead, leaving the rest to us.